Editor’s note: This is the third in a five-part series comparing a range of cars during what can be prime season for car buyers. WASHINGTON — Though the shift toward SUVs and trucks is undeniable, cars are still the choice of many buyers. In the first half of 2018, the Toyota Camry, Toyota Corolla, and Honda Civic were among the 10 best-selling vehicles in the U.S., according to Kelley Blue Book. While all of those — and the stalwart Honda Accord — are excellent choices for a test drive, drivers looking for a family-friendly car also have some new-for-2019 choices that might be worth considering as well — along with a model you may not know. In this crowded market, and with end-of-year car-buying opportunities here, WTOP is comparing some of the models to figure out which might be best for you and your brood. 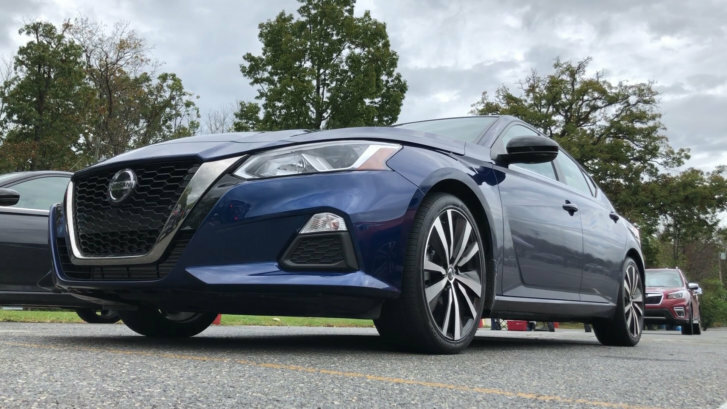 WTOP’s John Aaron and Mike Parris looked at the new-for-2019 Altima and Jetta, along with a wild-card pick, the hatchback version of the Corolla. Pros: The new mid-size Altima has a cavernous and comfortable interior. A number of trim levels are available, starting at under $24,000. All-wheel drive is available for the first time. Cons: Optioned-up models can reach nearly $40,000, and the comfortable steering and suspensions setup can leave the driver feeling detached.